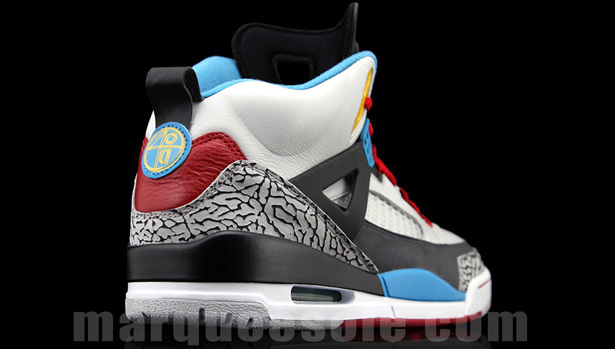 A detailed look at this upcoming Jordan Spiz'ike set to release next year. 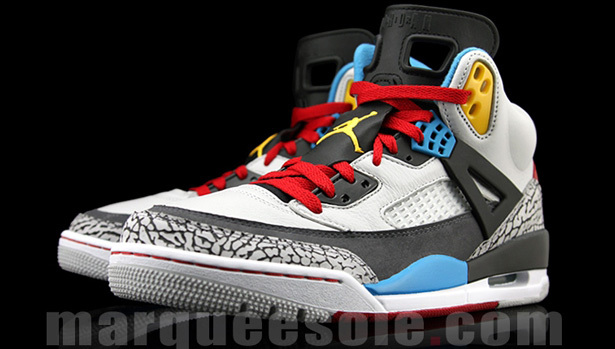 The Jordan Spiz'ike is set to return this weekend in two New York Knicks themed colorways. 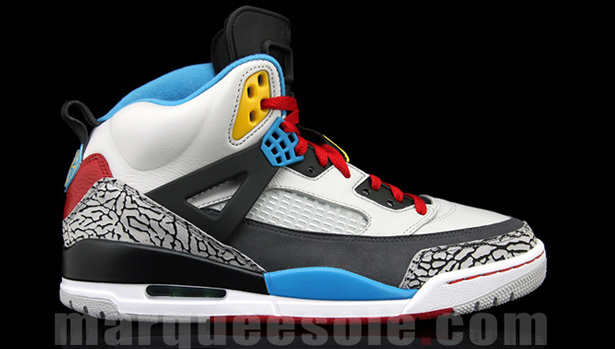 After that, the next release is set for 2012. 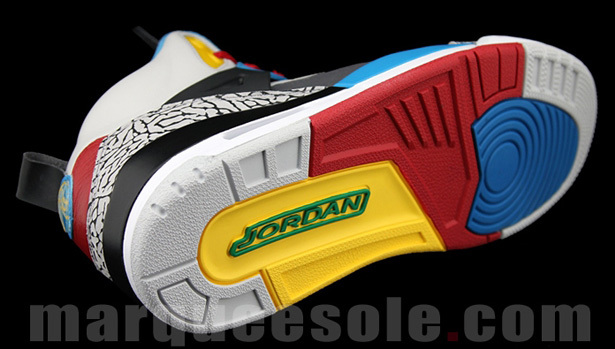 We gave you a look at this all new Spiz'ike colorway a few days ago. Now, i'm back with some detailed images for you. 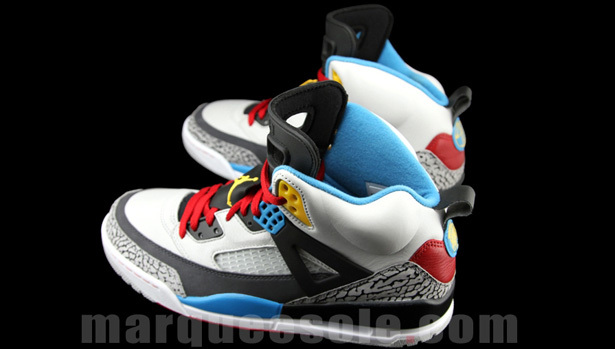 They feature a grey-based upper with numerous accent colorways including varsity maize, sapphire blue, varsity red and black. Being called the "Bordeaux's" due to the usage of colors similar to those found on the iconic original Jordan VII colorway. 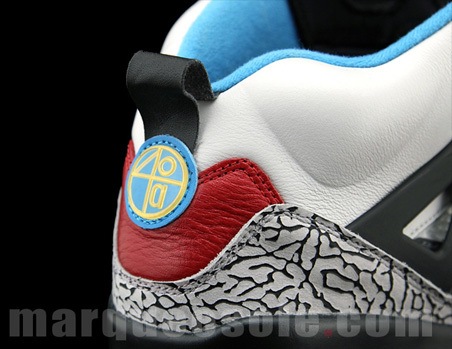 These are set to hit select Jordan Brand accounts as a general release in the beginning of February. Retail is set at $175 and they will be available in full family sizing from men's all the way down to crib soft bottoms.